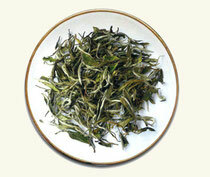 White tea 白茶; is a lightly oxidized tea grown and harvested almost exclusively in China, primarily in the Fujian province. 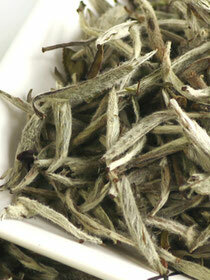 is produced at Fuding and Zhenghe areas in Fujian province.It is a top grade white tea. Single buds are plucked right when they fully develop and are ready to open. 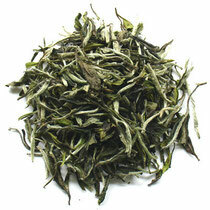 The beautifully acerose buds are covered with silvery hairs,hence the tea named "silver tip white tea".It's taken as "the beauty" in teas.Tea lovers describe it as "white like cloud, green like dream, pure like snow, aromatic like orchid". 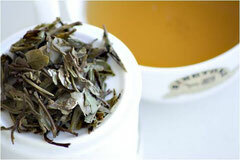 When infusing, every bud stands in the cup upright just like bamboo shoots after a spring rain.Silver tip white tea offers a light yellow liquor with an extraordinary fresh aroma and refreshing taste.Medically white tea is refreshing and is good for the stomach. 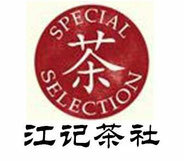 It can also be used to dispel the heat. 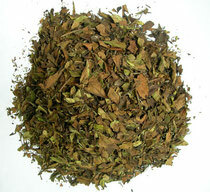 The liquor created is a very pale hay or champagne color with a slightly nutty aroma. 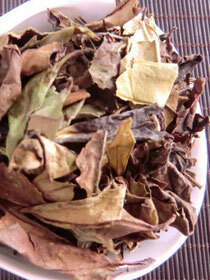 The taste is sweet, nutty and can be slightly vegetal with a smooth and velvety mouth feel. 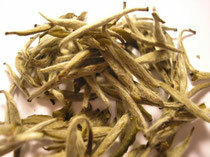 is a white tea that is produced from naturally withered upper leaf and tips, with a stronger flavor reminiscent of lighter Oolong teas. 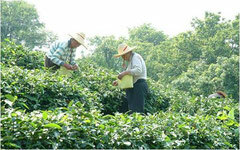 It is mostly grown in the Fujian Province or Guangxi Province in China. 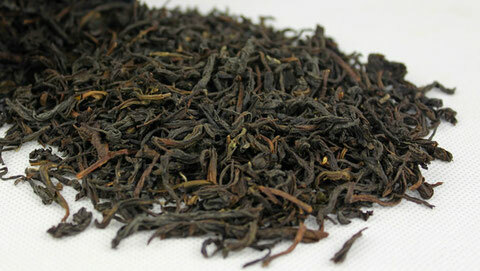 Because it is plucked later than Bai Mu Dan the tea may be darker in color, but it should still have a proportionate green color. 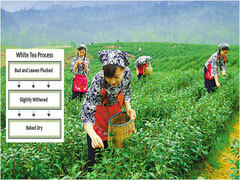 is produced using leaves from the Xiao Bai tea tree and is processed more than the Silver Needle and White Peony teas and is therefore considered a lower grade tea. 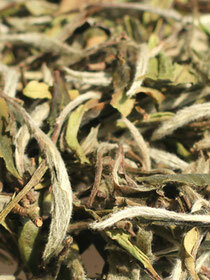 "Eyebrow" teas are named for the long, thin, crescent-shaped leaves used in production.